FBI Wants To Wiretap IM, Vid Chat and Others, Asks Tech Co's For "Back Doors"
The FBI wants to revamp a 1994 telephone wire-tapping law to include modern web-based tech chat and communication services, says CNET. CALEA, or the Communications Assistance for Law Enforcement Act, originally compelled telephone companies to modify or design their equipment and services to allow for surveillance of suspects in federal investigations. It was tweaked in 2004 to include broadband networks as well, but even so, legislators still couldn’t have foreseen the radical shift in communication that was coming. Services managed by telecom providers are giving way to IM, video calls and peer-to-peer chat, which are leaving telephony in the dust. And, says CNET, it concerns the FBI that these services — which pose huge surveillance problems — are not covered under CALEA. It coined the term “Going Dark,” which denotes the diminished surveillance capabilities of the FBI due to advancements in tech. To combat the problem, the bureau wants to revise CALEA to cover these technologies. But not only is it asking tech companies — including Microsoft, Facebook, Yahoo and Google — to stand down and not oppose this effort, but in a proposal drafted by the FBI general counsel, the new law would require these tech companies to change their code and integrate “back doors” for FBI surveillance purposes. 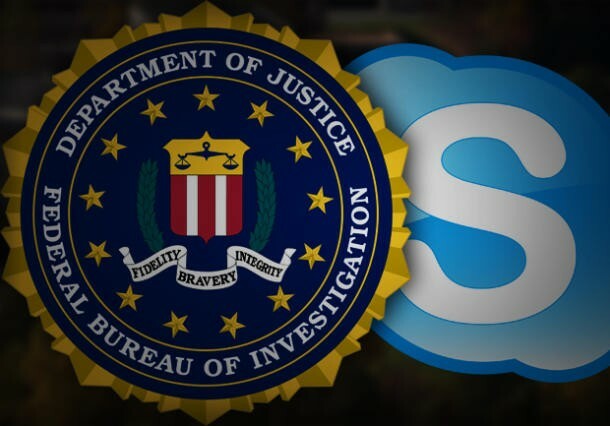 In other words, if the feds get their way, they’ll be able to monitor more than just telephone calls, but also Skype, Facetime, iChat/AIM, Gmail vid chat or Google Hangout and Xbox Live’s in-game chat, as well as IM and Web e-mail services. And the revised CALEA would force all those service providers (both big and small) to make some pretty deep changes to accommodate that. Privacy advocates must be freaking out over this one, as well as smaller startups who’d have trouble complying with a federally regulated mandate. Lucky for them, it’s not quite a done deal yet. The FCC, as well as the White House itself, have shown hesitance to give the FBI’s proposal their blessing. Where do you stand on this? Do you think CALEA should be changed to include online communication, to aid the FBI in protecting the country’s national security? Or do you bristle at the thought of law enforcement being able to spy on IM and video chats? Weigh in.